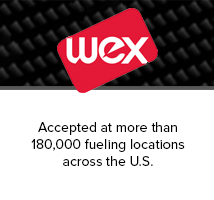 WEX fuel cards are smarter than a credit card and safer than cash. Choose a card that is designed to grow with your business and keeps more of your money where it belongs. 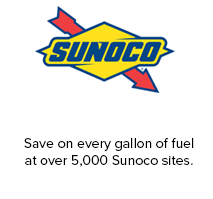 Save money with available fuel rebates and tools to curb spending. Card fees are waived* for NFIB members (savings of $2 per card per month). 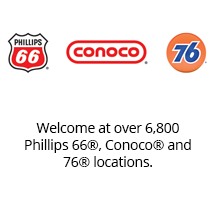 Want the best rate or already have a favorite place to fill up? Looking for greater insights and control on spending? Submit the form below or call 855-939-2329 to take advantage of this benefit. Disclaimer: *Subject to credit approval and new accounts only. 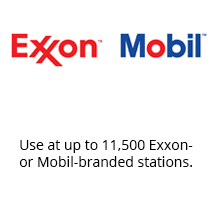 Promotional offer includes a $.03 rebate per gallon and capped at a maximum of 6,000 gallons per account. The 12-month promotional period begins the day your account is approved. 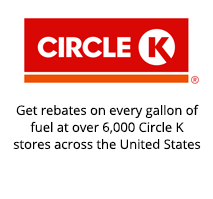 Credits for fuel rebates earned will be applied monthly in arrears following your account activation date. Accounts must be paid in full with payment posted by the due date each month or no rebate will be applied. Additional terms and fees apply. Actual savings may vary.